Let me set the scene before you dive into this post. You know in cartoons where a dog smells something cooking and drifts along those scented waves to find the treat? This post is the reality version of that. If you’ve ever been passed a Red’s True Barbecue restaurant, you’ll have no doubt breathed in the sweet scent that seems to engulf the bubble around it. You can smell it from around the corner (and also if you’re working out in the Pure Gym beneath it in Leeds – bonus) and every single time, I’m like a dog to a bone on that barbecue fragrance. 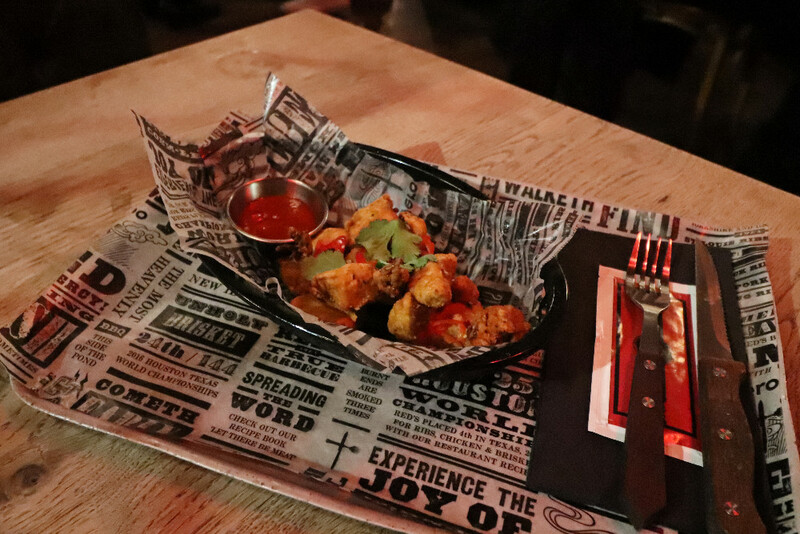 Red’s is of course synonymous with meat, but their newest menu has introduced a whole host of vegan and veggie options, alongside some new meaty favourites. I'm still in a mostly vegetarian diet, but when an email lands from the 4th best barbecuers in the world (! ), you know that I'll happily be going over to the meaty side. Let's get straight into the menu. We started with beer. Unbeknownst to me, all of the craft on tap is Red's own product, brewed at their head office in Leeds. 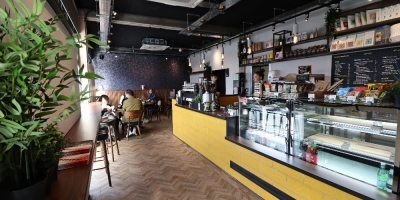 There's a selection of three on tap; a pilsner, a session IPA and an American pale ale. I've tried them all in the past few weeks and they're each great partners with the food, for a bit more flavour, the Election Fraud IPA is probably my favourite. If you happen to be on the soft drinks, I highly recommend the sweet iced tea - I could drink that stuff by the gallon. Onto the plates, let's get started. Being a menu tasting we were served up a selection of some of the newer plates from the starters. Popcorn jackfruit - the clear winner (of the whole night, no less). This was my first time trying jackfruit, served up as nuggets with a delicious Louisiana sauce. Really light and definitely something I'll be back for. Hot or not baby back stack - a Red's classic and highly recommended from the staff. Melt away meat with a mild or hot Red's sauce. 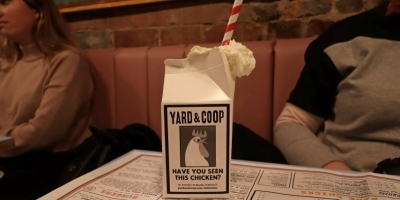 This would make a great sharer if you can fit it in ahead of your main. Honey bourbon pork belly - served with a great slaw, eaten together was great. The fat melted into the meat, with the slaw bringing a little more texture to the mix. 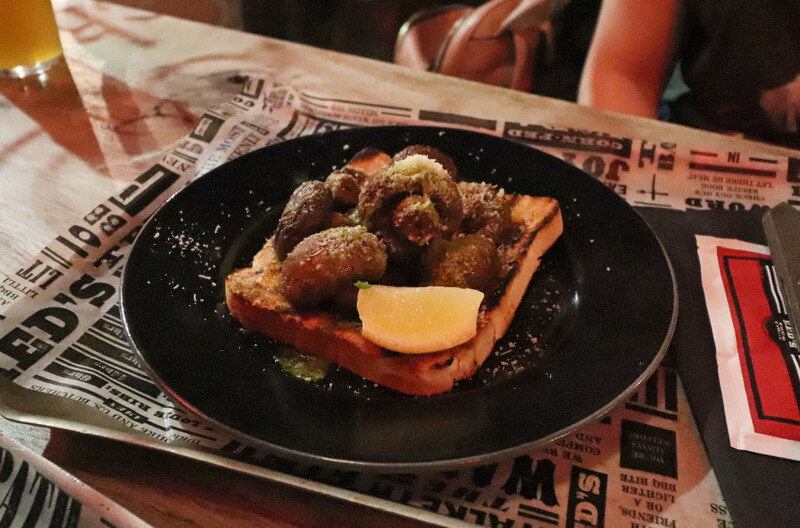 Smoked mushrooms - for me, a little too heavy as a starter (although it would make a great brekkie). However, this is a great veggie option that has a really smoky flavour trussed up in the mushrooms. 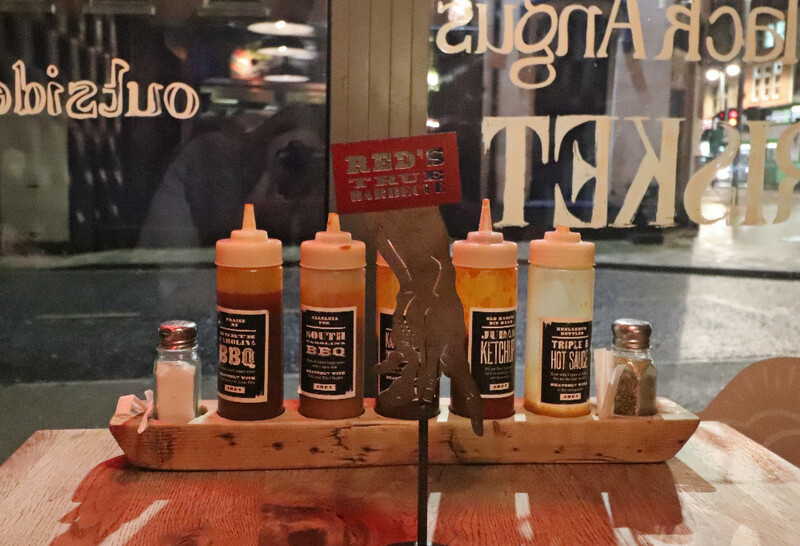 Let's get into the mains, the headliners of any trip to Red's. We got a table full of some of the new discoveries as well as a few of the sides for good measure. Let's start with the newbies, ready and waiting for you to delve into on your next trip. 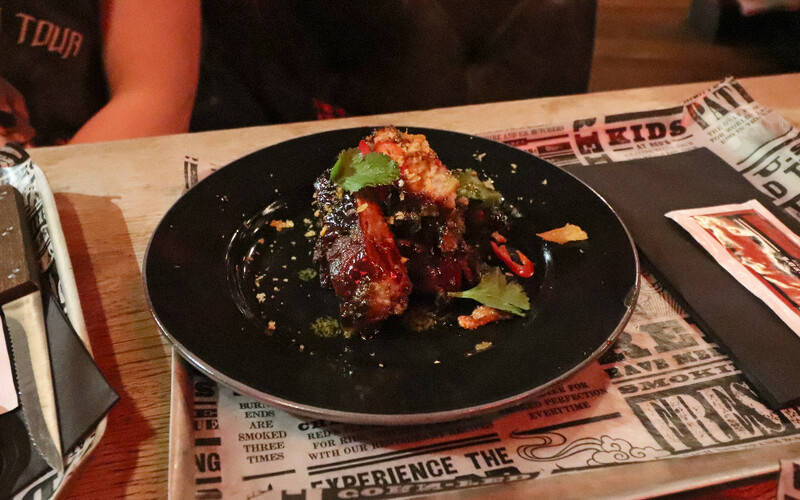 Memphis pork belly - a completely different serve of pork belly from the starter - crispy and covered in a dry rub, much more my style. A proper Red's dish, served with bacon greens (so bloody good) and BBQ corn. 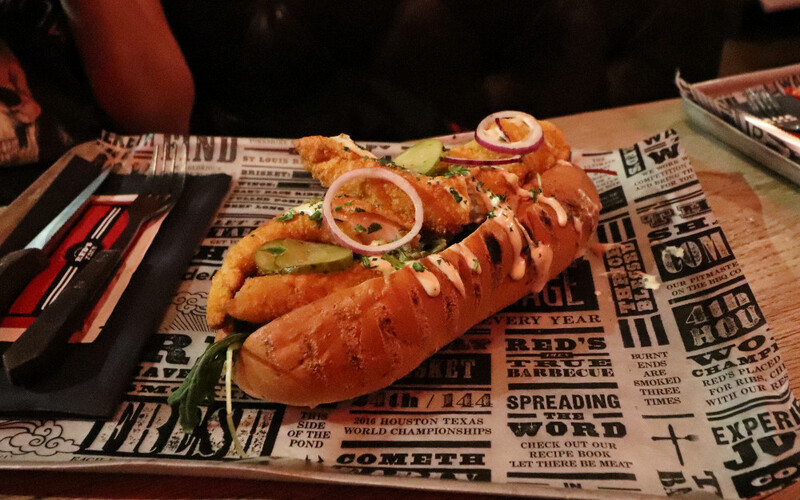 Stacked Alabama fish sandwich - a suped up fish finger sandwich. For me, too much bread to fish and even with the drizzle of Alabama sauce, it all felt a bit dry. 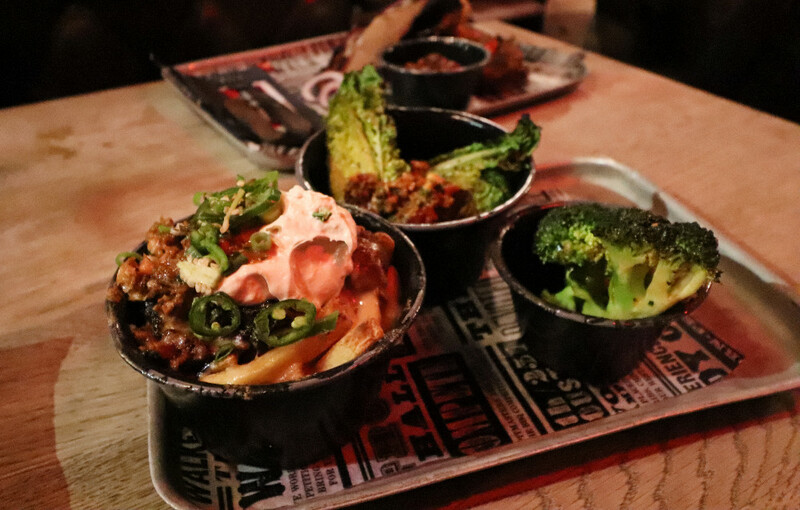 Hog fries - the ultimate from the menu and a side that would fit with anything on the menu. Essentially nacho fries with pulled pork - amazing. Grilled baby gem hearts - definitely wouldn't be my choice of eats but the roasted flavour on the lettuce amped this up. Charred broccoli Carolina - contrary to the above, this was greens done well. I'm a sucker for broccoli in any form and this was the classic veg with a subtle extra flavour. Meaty pit beans - the perfect side dish for any of the smaller mains, to get your hit of classic Red's. BBQ beans, with brisket (classic) and pulled pork. Another goodie and if you're in my flexitarian mindset, a great topping to add to the veggie Moving Mountains Burger. Pitmaster Tray - I've saved the classic until last. 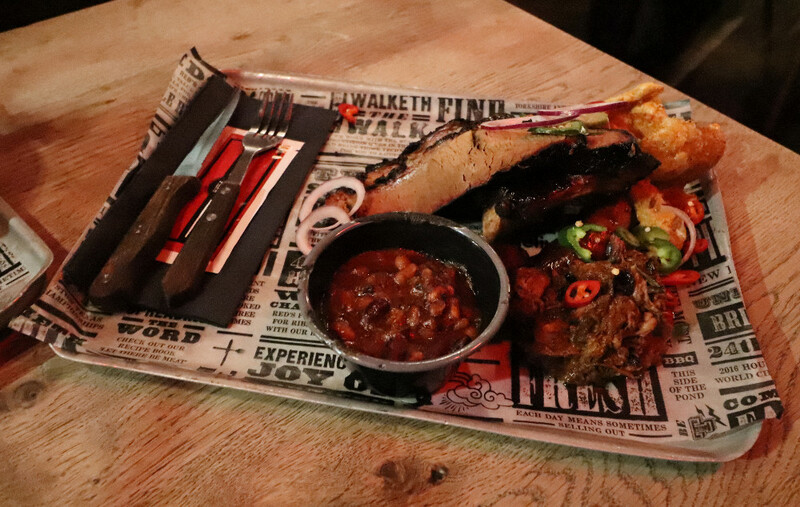 A variety of Red's classics; brisket, ribs, pulled pork and sides all packed into one serve. 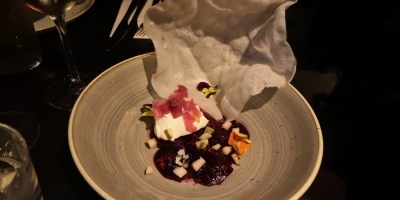 For £19 you get a lot for your money and it's a great way to trial most of the menu in one hit. The brisket in particular is unreal. 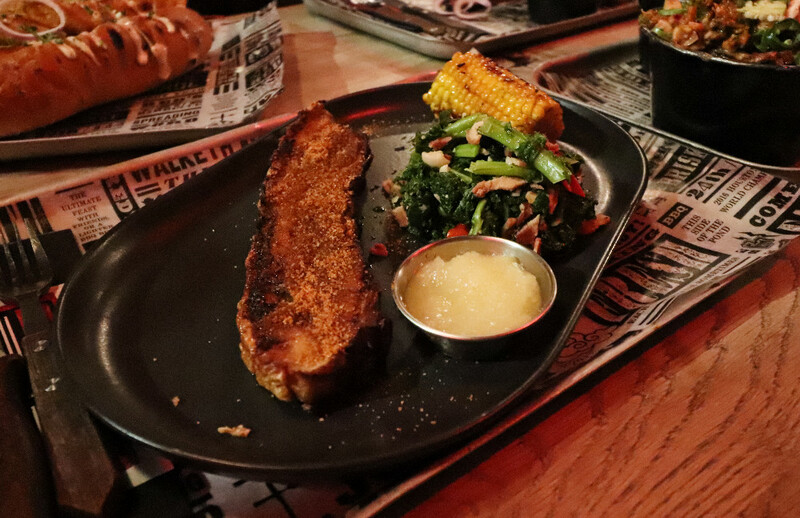 The menu also now includes the meat free tray, highlighting how the Kings of Barbecue can deliver flavour without the meat - one to look out for, veggies. Feeling suitably stuffed and leaving with doggy bags of highlights we couldn't complete, we made our way home, jeans button undone (true story). I'm a long term fan of Red's and they would be my first recommendation for meat done well. 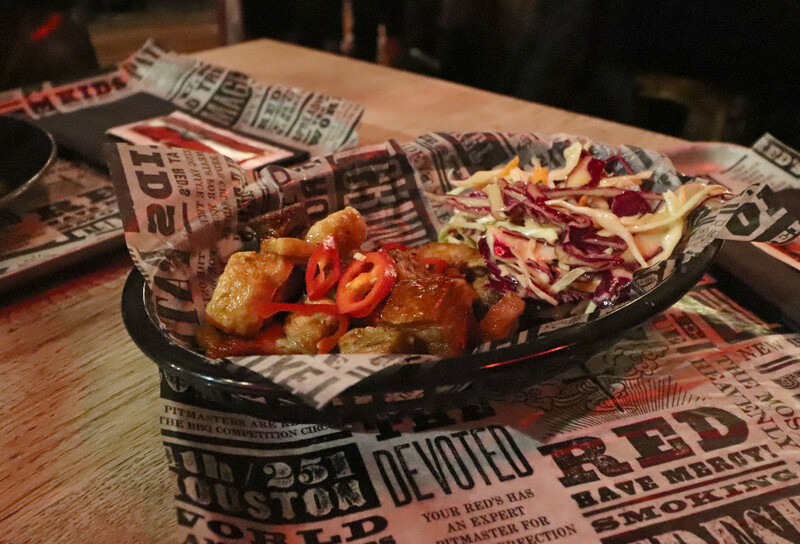 With the new veggie options in the mix, they've just levelled up and having had a quick chat with one of the men behind it all, they're fully open to letting the vegans and veggies into the gospel of Red's True Barbecue.